I've been testing out mice for my various PCs for months now. I wanted to go wireless, but didn't want to break the bank. 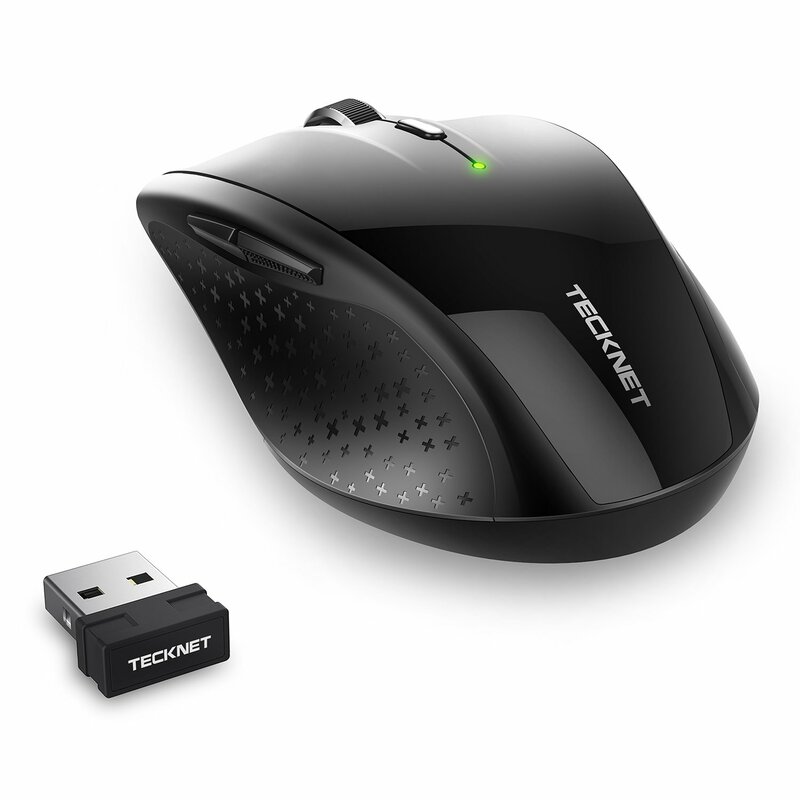 I previously tried out TeckNet's Bluetooth mouse, which looks very similar to this USB wireless version. This USB mouse, however, is a little bigger, so it fits the hand better. Plus it uses two AA batteries, which gives it a more solid weight to the device. It works perfectly and easily right out of the box when I tried it on Windows 7 and Windows 10. At $8.99, I'd call this a super deal. Highly recommended! I have been picking up some cheap-o micro USB cables here and there and getting what I paid for. They might work for charging, but not for connecting to a PC, and vice-versa. So I saw this set of SIX cables for $5.99 by a company I've had good results from in the past and took a shot. 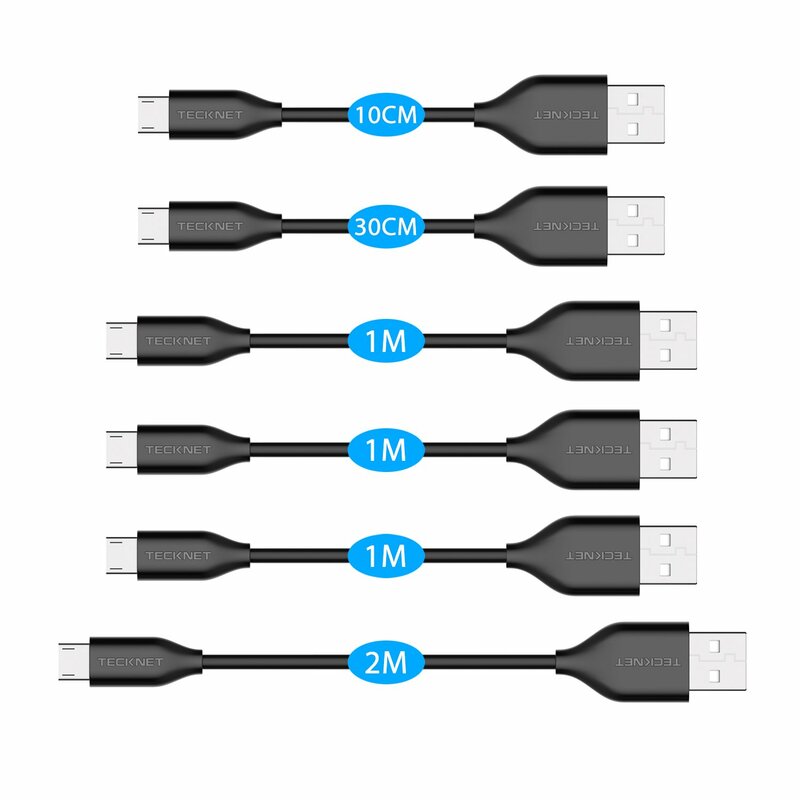 In approximate US SAE measurements you get one each of 6", 12", and 6 feet and three 3 foot cables. A great set since it gives you the most of the size that you use the most! The first thing you notice is the excellent quality of the workmanship of these cables. They feel heavier and stronger than your common cables that you break or burn out regularly. The boots are nicely made and designed so you pull the out instead of the cables, cutting down on that method of cable damage. Don't waste your money on inferior cables that cost the same. Just get this pack and call it a day.